Who’s On Your Team? Panel, What’s Your Budget? 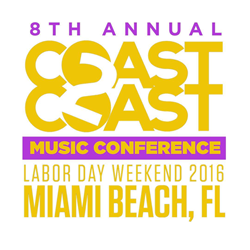 Panel, Main Event Artist Showcase, Coast 2 Coast Official After Party, Preparing For The Studio Panel, Branding & Marketing Panel, Networking & Relationships Panel, and many more. The full schedule can be viewed on the Coast 2 Coast Convention website.